Members of the Parents' Association and indeed all members of the wider school community support the implementation of the school’s mission statement. We believe that it accurately reflects the ethos of the school, a school where students feel a sense of belonging, where teachers are seen as friends and where all stakeholders feel a sense of pride in their school. A great sense of partnership exists throughout the school and a genuine care is demonstrated by management and staff for the students. We, as members of the parents’ association, are appreciative of the broad education afforded to our children and of the quality of care and support afforded to them during their time in the school. The first Parents Association was formed in 1990 and over time its role has gradually evolved from that of merely being fundraisers to being active participants in shaping the educational environment of our children. The first Parents' Association was elected on the basis of two representatives, one male and one female, from each of the primary school catchment areas and this is still the method used for election of the association. As new schools become feeder schools parents of our students in those areas are asked to nominate representatives to join the association. The Principal and Deputy Principal sit in on all meetings of the Parents' Association which allows for all decisions to be communicated to parent representatives as seamleesly as possible. When parents cease to have children attending the school, they are replaced as soon as practically possible. 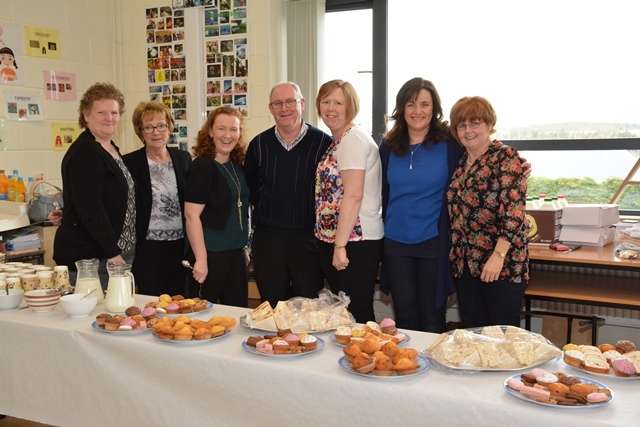 The Parents' Association works in close cooperation with the school management, the Board of Managment and Mayo Sligo Leitrim ETB in an attempt to provide a top quality holistic education for our students. We are involved in fundraising and provide help and support where needed on events such as enrolment night and the recent school musical, "Oklahoma!". We are regularly consulted on the provision of new resources and/or facilities; our opinions are sought on changes to such things as school uniform and code of behaviour.